The Carb Killa® protein biscuit is a great healthier snacking option. With just 0.8g of sugar and 6g of protein per biscuit, this is the ideal snack for biscuit enthusiasts. Deliciously crunchy, covered in chocolate and low in sugar, this protein biscuit is available in two flavours: Salted Caramel and Double Chocolate. 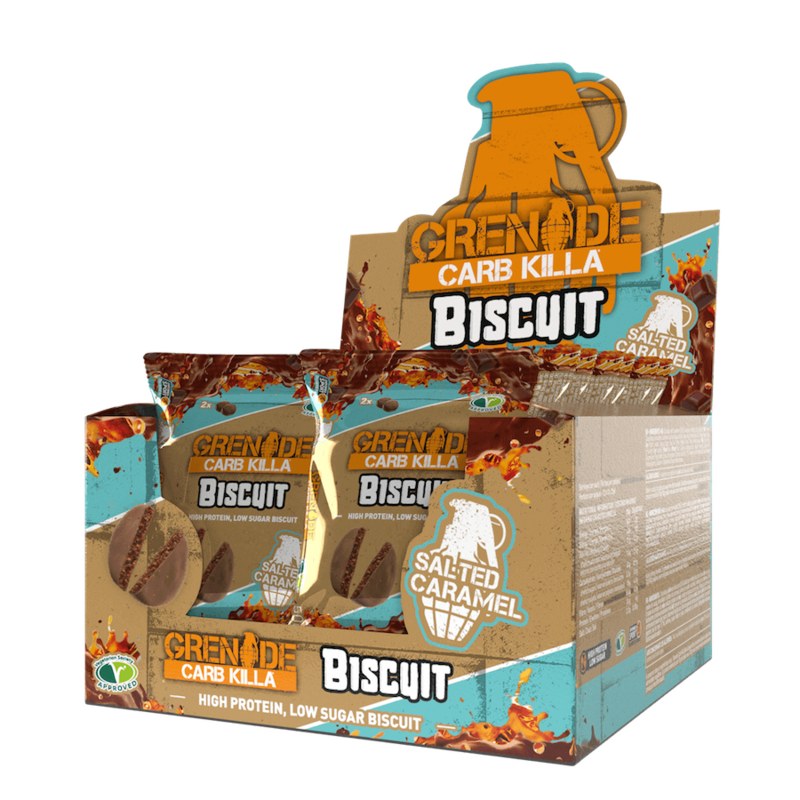 With less than 230 calories per pack, the Carb Killa® biscuit offers guilt-free indulgence at any time of the day. It’s also suitable for vegetarians and is informed sport approved.